You should check out this mammoth list of websites where to find free images on the Internet. One of the key problem of using images available on the Internet is the issue of copyright. Many of us are still confused over whether certain images found on the Internet can be used without infringing on copyright. Even some of the photographers themselves are not too sure the meaning of these copyright licensing terms as well. I find that most, if not all the stock photo websites used the word "FREE" liberally. But on closer look, you will find that the term "FREE" is not very accurate or even correct. We have royalty-free images, images for non-commercial uses only, editorial use only, some rights reserved, public domain, some rights reserved, neighboring and related rights, Creative Commons Zero (CC0), etc. Yes, I know all these definitions can be overwhelmingly confusing. Here are two sites where you can find out more details about about public domain or copyrighted. If you are not too sure, the rule of thumb is always check with the owners of their so-called copyright-free pictures before using them. If there is no proper page on its copyright licensing, I would mentioned as what is stated on the website. This huge collection of websites with free images is a great list of resources to be used for your blog posts, Twitter tweets, Facebook cover, both e-book & physical book covers, posters and all your creative needs. All the images found in all the websites listed below are FREE. Which means you DON'T have to pay a single dime. They are totally free of charge. No doubt many of these images, you can use them anyway or anyhow you like. But there are images which have their restrictions. It could be attribution required, or for non-commercial use only. Stated on the site: This site offers totally and completely free stock images and photography that are also royalty free. We only ask that you don't redistribute them, use them for pornographic material or other material containing anything considered hateful. To know the licensing rights of each photo, click on the image. You can find the details mentioned under: Attribution. Not all images here are free to use. You can find the copyright license details below each photo. Here you can find images with transparent background. Stated on the site: Browse thousands of free PNG isolated clip art, vector images, and stock photos that you can download or embed anywhere at no cost for your designs. Stated on the site: Images on this site are under creative commons and are free to use on web sites and other projects. Image Copyright is held by original owners; all are licensed as either CC-BY or CC-BY-SA. Text, metadata and image selections on this site are © 2007-2009 by Ontology2 and are available under the Version 3.0 Attribution-ShareAlike Creative Commons. Stated on the site: 1162 free HD images for your web and design projects. To make your search easier, go to this search page. Stated on the site: License and commission photos from 200,000 of the world's most talented photographers. Stated on its site: All photos are listed under cc0. That means you can do whatever you want with them. You can know the type of Creative Commons license, as it is mentioned below the image and also at the bottom right hand corner of the page. Stated on the site: It is a search and discovery platform for the following sites: travelcoffeebook, startupstockphotos, littlevisuals, gratisography, getrefe, jaymantri, superfamous, mazwai, unsplash, snapographic, moveast, snapwiresnaps, newoldstock, splitshire, camarama, mmt, lifeofpix, crowthestone, skitterphoto. Stated on the site: This site has no control over the results that are returned. Do not assume that the results displayed in this search portal are under a CC license. You should always verify that the work is actually under a CC license by following the link. You can find out about the copyright details together with the images. Stated on the site: All pictures on this site were captured by the site owner. You can use it in your travel blog on television or everywhere you want. No Copyright Restrictions ( CC0 1.0 Universell ). Feel free to leave us a backlink or not. Stated on the site: All photos on this web site are public domain. You may use these images for any purpose, including commercial. But if some photo contains logos and products you need to be careful. Stated on the site: Free Image stock for Commercial and Editorial Use. You can know the copyright license, as it is mentioned below each photo, next to: ATTRIBUTION. You can find the Creative Commons License mentioned below the image, next to the word "Usage". Stated on the site: They are all from material printed prior to 1923 and are in the public domain. You don't have to buy any of the images here; they are all free. Stated on the site: Free vintage photos to use any way you want. Stated on the site: Do whatever you want with the pics. All the free images here are under CC0 license. Stated on the site: All photos here are licensed under Public Domain. Stated on the site: You may use the photographs for personal and commercial works. This includes Part of Website or Mobile App, Articles or Websites, Templates for Sell. You would not sell these photographs or add these images to your free image gallery. Attribution is highly appreciated but not a necessity. Select the image and then check its license mentioned at the bottom. Here Wikipedia has gathered a big list of sources of freely licensed and public domain images on the Web. Take note. The resource on this list does not guarantee that all or any of the images in it are freely licensed and/or in the public domain. You are still responsible for checking the copyright status of images. Next to "usage rights", click on "not filtered by license". It will drop down a list these options for you choose: "free to use or share", "free or use to share, even commercially", "free to use share or modify", "free to use, share or modify, even commercially". To search for free images which are public domain, first type in your search term in the search box. Click on the search icon (magnifying glass symbol). Next click on "Filter" (funnel symbol) which is on top right hand corner. A menu with a list of filter options will drop down above the images. Click on "License", again another drop down menu appears. From the list, you can choose any of these options: "public domain", "free to share and use", "Free to share and use commercially", "Free to modify, share, and use" or "Free to modify, share, and use commercially". This search site makes it easier and more convenience for you to search for free images from various sites that include Europeana, Flickr, Google Images, Jamendo, Wikimedia Commons, Open Clip Art Library and Pixabay. By default, the site has already set the filter settings as: "use for commercial purposes and modify, adapt or build upon". Stated on the site: CC has no control over the results that are returned. Do not assume that the results displayed in this search portal are under a CC license. You should always verify that the work is actually under a CC license by following the link. Since there is no registration to use a CC license, CC has no way to determine what has and hasn't been placed under the terms of a CC license. If you are in doubt you should contact the copyright holder directly, or try to contact the site where you found the content. A search site to find CC-licensed images, sounds, videos and docs. It uses the Flickr API and searches creative commons photos. This is a search engine for finding free stock photos. It gets them from from various sources that include: Flickr, Freebase, Wikimedia and OpenClipArt. When you click on the image, it will take you to the original source. A search engine displaying images license under Creative Commons from various stock image sites. This site searches images from Wikimedia Common. Check the box: "Only show public domain results?" to find public domain images. On the left side, click on the "Any license". A menu of options will drop down for you to choose from. "All Creative Commons", "Commercial use allowed", "Modification allowed", "Commercial use & mods allowed", "Not known copyright restrictions" and "U.S. Government works". After making your selection, click on the photo you wanted. Then re-check with the Creative Commons license stated on the right side below the photo. If you are not too sure of the definition, click on the link and it will Creative Commons site with full explanation. A search engine for to look for Flickr images. It searches for images with the use of computer vision. Find Creative Commons images on Flickr by colors. You can use this search site to look for CC Flickr images, and stamp with attribution. Here is the link to the old site of Flickr CC Search. Once you find your photo, check the license which is on the right side of the page. This search site is meant for school use, to search through Creative Commons images that are appropriate for the classroom. Downloaded images automatically cite the author and the image license terms. Stated on the site: All photos shown are, to the best of our (and Flickr's) knowledge, licensed by Creative Commons for public use. 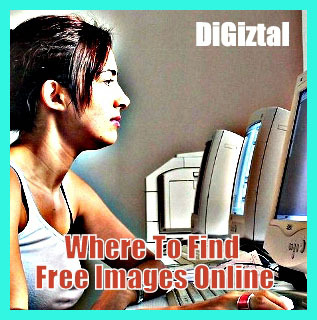 It is an image search engine which helps you to locate images from Flickr. After typing in your search term, press on the "Enter" key. Compfight will gather all images related to your search term from Flickr. Then you need to click on the filter "Creative Commons" on the left side of the page. From there you can see the eight (8) different Creative Commons licenses. Stated on the site: Only images available for use under free of charge with a creative commons license are accepted. To use this site to look for free pictures available on Flickr under Creative Commons licenses, you need to sign up a free account. It comes with an image re-size function. No need to download a picture, open it, resize it, save it, find it on your computer, upload it and then manually add credit information. It generates embed code for your platform. All the photos here are from Farm Security Administration/Office of War Information. Not all photos here are public domain. You need to check out the copyright licensing details from each specific photo. You can find free images from NASA available on Flickr. Most of them are labeled as "No known copyright restrictions". Click on the photo and you can find out its copyright status. Stated on the site: We're giving away 75 stock photos for free. You can use these photos on your blog posts, social media channels, landing pages, emails -- wherever you'd like! Stated on the site: You can use them in your blog posts, on your social media channels, in your emails ... the sky's the limit! And yes, we promise, these photos are 100% free to use, no attribution required. Stated on the site: No royalties, no fees, no worries. You can use these photos on your blog posts, social media channels, landing pages, emails -- wherever you'd like! Stated on the site: Download these 250 photos, a $1,500 value, for free. This WordPress plugin allows for a user to search images from Flickr for their blogs. The user can add attribution to the picture before adding it into their blog post. By using CC-BY licenses this tool is built to limit the potential copyright pitfalls that may occur. A WordPress Plugin designed to help you find the perfect image for your blog posts with just three clicks. This plugin even handles the attribution.